I have three urgent and important things to say to Nigeria and I will not beat about the bush. Let me start out this piece by saying that even though I am of the Peoples Democratic Party (PDP), I voted for Senator Bukola Saraki of the All Progressive Congress (APC), and I did it for Nigeria. I am of the firm belief that political parties are created to serve the interest of the masses and not individual or group interests. That is my ethic in politics. Nigeria does not belong to a party. Both the PDP and the APC must allow President Muhammadu Buhari be his own man and the Senate be her own body. Why should a party aspire to treat a president like a caged bird to be let out when they choose so it can sing to their guests and be put back in the cage until it is needed again? In case anybody is in doubt, Nigerians voted for President Buhari, they did not vote for the APC. The same was also true in 2011 when Nigerians voted for President Goodluck Jonathan and not the PDP. I admire the party chieftains of the APC but we need to face reality here. On the 28th of October 2014, the then Speaker of the House of Representatives, Hon. Aminu Tambuwal, defected from the PDP to the APC and still kept his position as Speaker. Try as it may, the PDP was unable to get the judiciary to depose Tambuwal for leaving his party as both Justice Ahmed Mohammed and Justice Justice Ibrahim Buba rejected such arguments. Therefore there are political and legal precedents to state that any elected person can leave his party and still retain his seat. That being the case, political parties have to be very careful because if they push too hard they could unwittingly or perhaps wittingly win the election and lose the government. I have no doubt in my mind that the PDP will not be unwilling to open its arms wide to anybody and I mean anybody who wants to escape from internal dictatorship. Again, let me sound a warning to parties that they are like in-laws who give out a woman in marriage. Once they have given out their daughter in marriage the expectation is that they allow her bear her husband’s name. Enough said on that score. The second thing I want to say to Nigeria is that I am disappointed at the way we treated the late great Dora Akunyili. Scarcely has Nigeria encountered a woman who gave so much and took so little from her. Many Nigerians may not know that Dora served with President Muhammadu Buhari when he was Executive Chairman of the Petroleum Trust Fund (PTF). While serving at PTF, she took ill and was given a frightening diagnosis in Nigeria which necessitated her going to the United Kingdom for treatment. She was given her medical expenses and when she got to the UK, she was told that she was misdiagnosed and that she would be all right. And that is where Dora stood out from the crowd. She returned to Nigeria and refunded the medical expenses PTF paid her back to the agency! How many Nigerians would do that? This story was the reason my boss, then President Olusegun Obasanjo, appointed her to head the National Agency for Food and Drug Administration and Control (NAFDAC). In that position, Dora brought life to the fight against fake drugs which had taken an untold number of innocent human lives. So successful was she that two assassination attempts were made on her life in August 2001 and in December 2003. The second one was almost successful as the bullet pierced her scarf! Altogether Dora won over 400 local and international awards in recognition of her work as the Director General of NAFDAC. It is no longer news that we lost Dora to cancer (that wicked disease that keeps taking my friends) on the 7th of June, 2014. What is however news is that no governmental or non governmental body thought it wise to remember Dora and honour her on the first anniversary of her demise despite all she did for Nigeria. June 7th 2015 came and went and it was as if nothing happened. In just one year Dora was purged from our institutional memory. What message are we sending out when we behave this way? Does it mean that we only remember the living and the strong? Are we telling our youth that Nigeria is not worth sacrificing for because no one will remember your sacrifice? People like Dora are put on stamps in other nations. She saved lives and she instituted a system that is still saving lives. Surely that maters. Let me thank former President Jonathan who was the only person I know that publicly acknowledged her and her sacrifice on the first anniversary of her death. Even out of office Jonathan continues to show that he is a man who believes in Nigeria. May the soul of Dora Akunyili rest in peace and may God give her the reward that Nigeria failed to give her. And finally, I feel deeply sad to read about workers that have not been paid for many months. It is so sad. Even sadder still is the headline I came across as I wrote this piece which revealed that over 200 pensioners had died while being owed for months in a particular state. This is very inhumane and something must be done very soon or corruption will increase. Why do I say corruption will increase if something is not done soon? If civil servants are not getting paid and if they feel that the situation will get worse when they retire, then they have a higher incentive to steal government money and corrupt the system. It is in the states own interest to ensure that salaries are paid to workers as and when due. If we push our state civil servants to the wall, governors may be in for a shocker as these workers may turn on them. And I salute the Christian Association of Nigeria (CAN) for raising donations for unpaid workers in some states. This is a noble gesture and will help save the lives of the most vulnerable amongst the unpaid workers. I hereby call on other religious and humanitarian bodies to follow CAN’s lead and come to the aid of these particular set of less privileged persons who became less privileged through no fault of theirs. 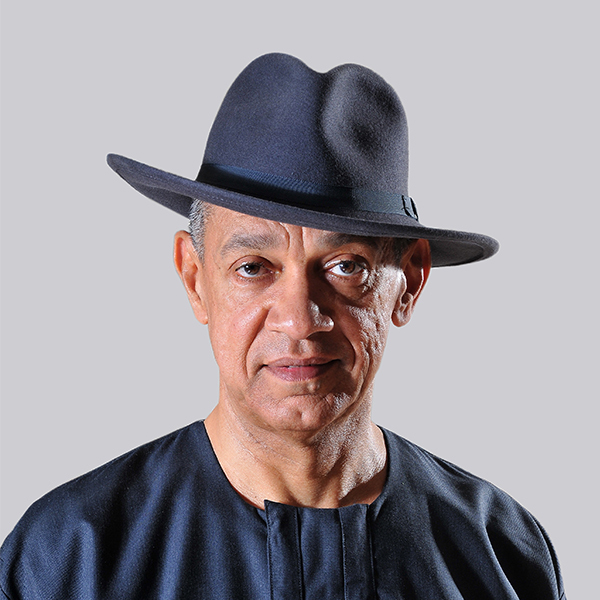 •Senator Ben Bruce represents Bayelsa East in the Senate and is the Chairman of the Silverbird Entertainment Group. It’s with tears that I write this,the neglect on our heroes is so appauling and not encouraging at all.That’s why many are find it difficult to make sacrifice/s to this Nation Nigeria,Dora deserve every recognition one can think of in this Nation.She deserve to be mortalise may her gentle soul rest in peace.God bless and strengthen you sir! It is so sad that our system recognises d wicked ones and shun d good ones. May God have mercy on d less privileged and help to sanitize this country. More reasons than one I think Ben Bruce should have ran for elective office earlier than now. Anyway there are many things I also have to say to him if only he can grant me just 5min audience. Talk time is over. Thank you Senator. We need somebody like you in the Senate. The recent 8.64 billion approved for member’s wardrobe is unacceptable and we must do something about it. You lot didn’t walk naked to the senate, did you? I agree with you on the issues raised my dear brother Hon Ben-Bruce. but could u please let us have your opinion on the outrageous wardrobe allowance for members of the national assembly. I must first express my sincere appreciation of this your nice write up, more so on the issues raised. By my understanding and observations, I want to believe the APC as a party with politically matured leaders must have considered pros and cons of their actions and inactions on the emergence of Dr. Bukola Saraki as President of the Senate of the Federal Republic of Nigeria. On the issue of Late Dr. Dora Akunyili, I reason along your line that she needs to be immortalised and am sure someday, someone in authority will remember her and something positive will be done just as her sincererity during her health trip was brought to the notice of our dear former President Obasanjo and he rewarded her patriotism and her uprightness by appointing her to head NAFDAC which she equally did to the admiration of all Nigerians. But let us think of it, how many of us do appreciate our political, technical or administrative leaders when they are in office or out of office based on nationalism and patriotism. How many of our leaders appreciate their subordinates input without prejudice of where they come from (ethnicity/tribalism). How many of us will be appointed as Secretary to Federal Government or Senate President etc that will not direct the head of Service to transfer all or majority of staff they met ton ground to another place or retire them because they are not from his ethnic group. We sincerely need to check our conscience. I want to say here that with people like you and other independent minded Nigerians still in this country, Nigeria will be great. A note of warning is that politicians should know that Nigerian electorates are becoming wiser by the day and will be ready to exercise their franchise to elect or vote out any person or group of persons that seems to be taking them as fools. It is a matter of four years. Advise to our leaders, especially at the national level: (1) They should be careful of opportunists who use their appointments on religeous, tribal, regional and or ethnicity vendetta. Please note: President Goodluck Ebele Johnathan was one of the best President Nigeria ever had, people who sorounded him messed him up, used him for their own selfish end and ill advised him on some national issues. On the issue of non payment of salaries to Civil servants and pensioners in some States, their is no problems. People will be more careful in subsequent elections in this country. We will look well at individuals and search their antecedents and administrative capacity. Please, you our distinguished Senators should settle down quickly and face the realities on ground on issues such as: PIB, Fuel Subsidies, Gas flaring, Value of our currency, Power projects, establishment of private Refineries, processing of our agriculural products to finished goods, giving licences to private international company to run railwaylines on our coastal line from Lagos to calabar, etc. By legislating on above and many others and carrying out your oversight functions, Nigertians will appreciate you though it may not be immediate, but in the nearest future. I don’t have anything against Murray Bruce, His series of speeches is all about the betterment of Nigeria masses, but in retrospect we have heard so many sweet talk of this kind since 1959 from many Nigerians who want to climb the pinnacle of fame through politics, at the end of the day they end enriching their personal empire. May God help us. Well we can put him trial list and let see, he might be the messiah. Never in the history of Nigeria Democracy have we had a serving senator who so believe in Nigeria than himself. Even the few whom we have can’t even speak out vehemently like this for the fear of attack. Not gun or cutlass attack oh, but media or criticism from corrupt individual elites . Ben Bruce, it was God who brought you to senate to serve the yearning if the poor masses. I pray God will give you that resounding bravery, wisdom, knowledge and understand to head the strongest opposition you will face in the senate. MY HANDSOME SENATOR BEN BRUCE, I REALLY APPRECIATE YOUR WRITE UP HERE. PLEASE BE THERE TO ALWAYS SPEAK FOR THE POOR WORKER AND MASSES. YOU AND YOUR COLLEAGUES SHOULD REVIEW AND REVIVE THE SALARY OF THE WORKERS IN THIS COUNTRY. Thanks for being a patriotic Nigerian and i pray for all politicians on seat to see the future ahead indeed you are good. Sir,i am 4rm okene LG in Kogi state.i wont you to be my boss.Send to me, how i can see you. Well said and keep it up by standing up for Nigerians and the truth. I salute you. I thank God for making it possible for senator Ben Bruce to win election,when i hear words like this it give me hope sooner we think Nigeria will be long in darkness a change will come earlier than we expect. God bless, Nigeria will be a better place with people like you,Elder statesmanship over politics! I can I reach you sir? The only active senator in Nigeria,you always reminds me of Obama when ever I read from you,I wish you become the president soon.kudos to you my distinguish senator. Thank for your noble and wisely educated story of information, let then that have ear hear and do what is expecting of them, but just kept doing your best by saying it to them. Sunny wb. Sir,thank u for ur concern about the poor people of nigeria and also for ur effort towards the future development of our nation nigeria thank u sir keep it on. Patriotic words again from the senator of the people. Well done Senator… You speak well on the behalf of Nigerians, But we all hope that when you get to that position of Presidency you will do what you are preaching and not do as GEJ has done. You seem to be praising him in most of your write up’s, his reign as president is polluted with high tolerance for indiscipline and corruption. it was on Nigeria Info fm I heard of this man: Ben Bruce. I can testify that his articles are making sense more than one can think. You are a leader… I admire your determination in todays politics. my regard to u sir. my name is Esther from plateau state. am an offhand . am being reading an I have no help. all i want is help. sir. I just pray God allows change visit NIGERIA a-life thanks and bless u.
Mr Ben Bruse i appreciate you may protect you and be your strength but also coment on the police officers & army who died and go easyly from the memory of both the past and present govt.pensioniars are forgotten some die like RAT And bruied like RAT. May we not only talk about politican who kept lurting the country funds and throw away the strength and courage of our Great policeofficers and Brave soldiers without reason.Mr Ben.M.B. I hav so much at but what about the present serving member of the forcemen today nobody seem to think about that but yet we want this men to protect us and defend the Nation. Do we take time and ask ourself howmuch do this Great men take each month and howmuch do a politician take home each month really i felt for this wonderful men who have voluntard to serve our country Nigeria. Talk more about retiries in this same sector some retared seven years ago and up till this year 2016 they still keep spending transport from one office to another for nothing. on the process some died the money becomes no man’s money whereas the man behind the computer claim the owner because the claimer has nobody or his wife becomes the property of the man behind the computer. Macson Bekee. I shall make out time to comment in full page but I must say that Senator Bruce is the man to watch. I commend your efforts Sir..you are really an enigma who speaks the truth! It is amazing watching someone who is different from the norm we see in nigeria’s political arena..I have encountered a lot of youths who don’t believe in impacting a change when handling political positions; they believe in telling the people what they want to hear while getting ur pockets filled and these are the messages our leaders of today r passing unto us..I believe in nigeria and hope to emulate the late Dora. we need somebody like you that we speak up for the mass. That my senator. am really touched with this article, sir wat d so called government are making us believe dat Nigeria is meant for the rich, offices in government are now hereditary pls sir i want u 2 look into the issues of the pensioners dis people serve this country. You are the type of leader we really need due you appeared late because our political leaders have showed us that we are not one Nigeria through their words and actions. You think and speaks like a President. That where u belong.